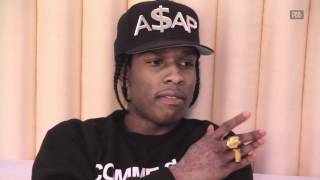 A$AP Rocky Talks New Album, Fashion, Azealia Banks & Iggy Azalea With Punchbowl TV! We caught up with A$AP Rocky, currently one of hip-hop's biggest & brightest names as well as one of the busiest during his recent London promo trip. After newcomer Iggy Azalea ... talk. But that's about it. T.I. is working in her debut album. Listen to "Murda Bizness" here: It would sound great bumping from an Escalade, but it lacks the urgency and, um, fun of Banks' "Fun." The winner: Azealia Banks.